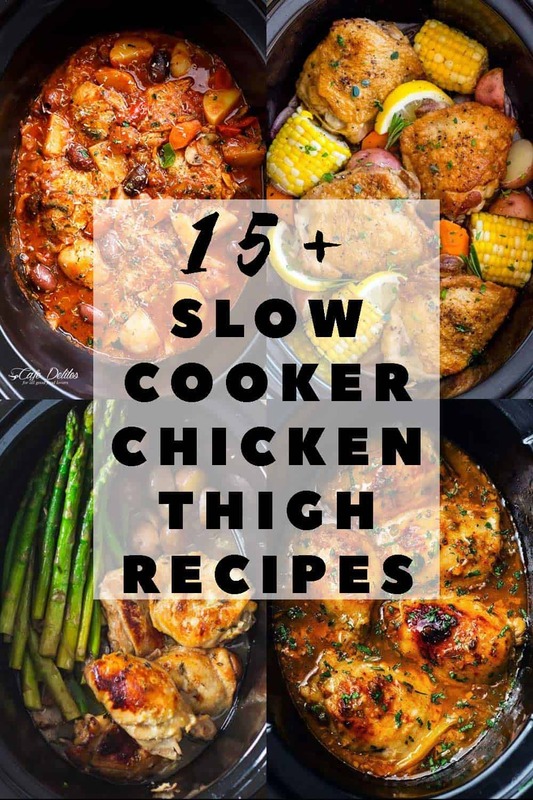 These slow cooker chicken thigh recipes are the best ones to use for healthy and delicious chicken dinners! Slow cooking your chicken will give you more time for the things that matter the most to you. Plus, you will walk into the house after a long day and a delicious chicken dinner will be ready to serve! Can you put frozen chicken thighs in a slow cooker? This question comes up often, and the topic is, to say the least, controversial. Technically, yes; You can cook frozen chicken in a slow cooker. More importantly, though is the question, should you cook frozen chicken in a crockpot?? The answer boils down to an issue of food safety and the risk of food poisoning. To assure that foods are properly cooked, use a food thermometer to determine the internal temperature. In the case of slow cooker chicken thigh recipes, the rule is simple. Chicken is properly cooked when the internal temperature reaches 165 degrees Fahrenheit. 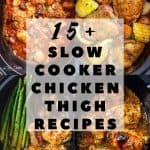 Now that you have those recommendations, it’s time to find some new favorite slow cooker chicken thigh recipes to try! Browse through the recipes below. When something catches your eye, get the recipe by clicking on the recipe link. Or, you can click on the photo beneath the link. Be sure to bookmark, print, or Pin your favorite recipes. 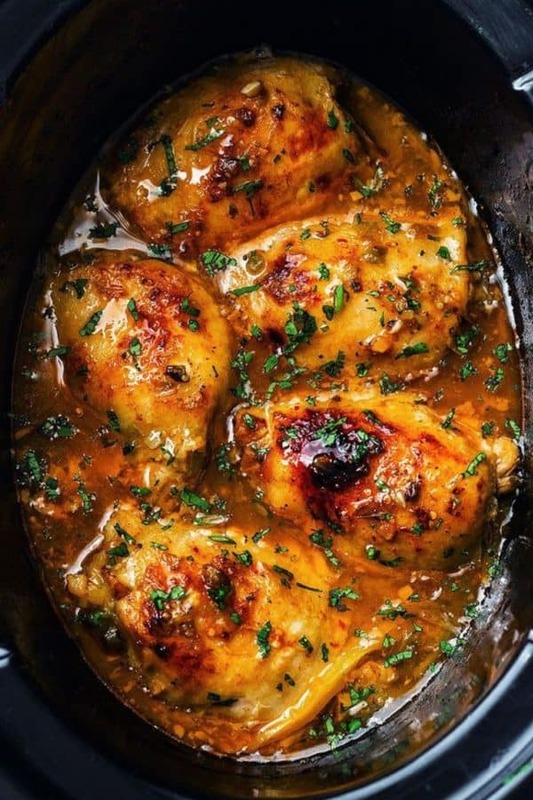 By doing so, you’ll have access to the chicken thigh recipes when you are ready to make them! 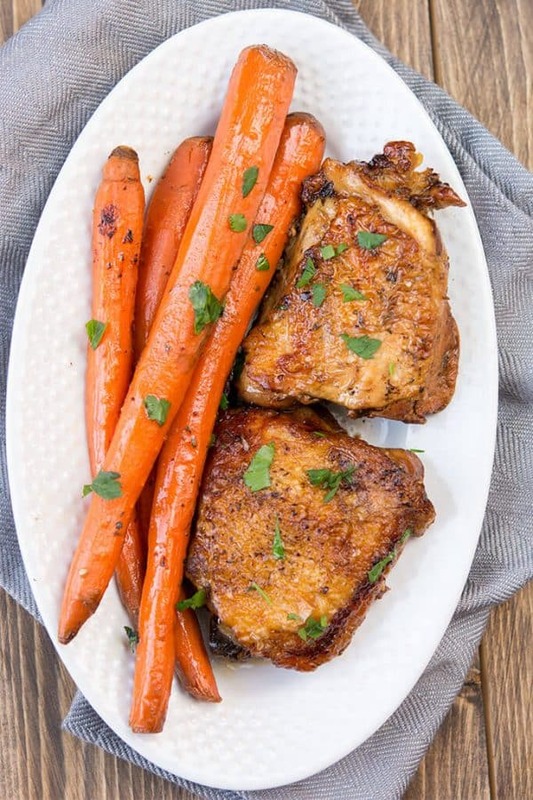 There’s no need for side dishes when you make this chicken thigh recipe! Tender white potatoes and healthy veggies are cooked right in the crockpot with the bone-in chicken thighs. Easy to make, slow cooker chicken thighs with hearty vegetables is a flavourful, complete meal! Everything is simmered together in a delicious, lemony garlic herb sauce. 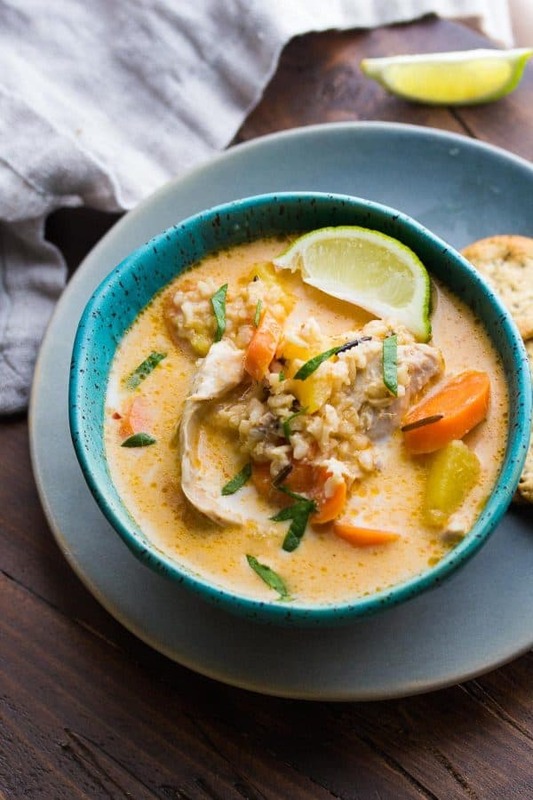 This Peruvian-inspired chicken dinner is one of our favorite slow cooker chicken thigh recipes! 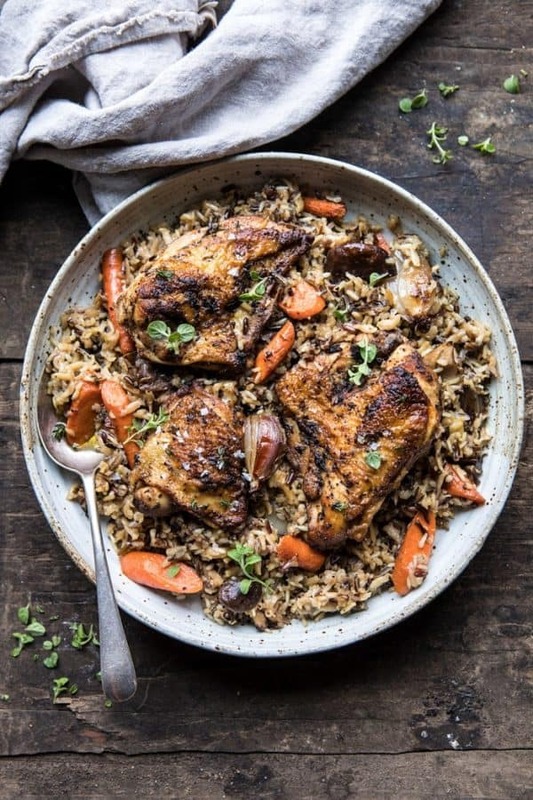 Full of vegetables, delicious seasonings, fiber-rich brown rice, and juicy chicken thighs. 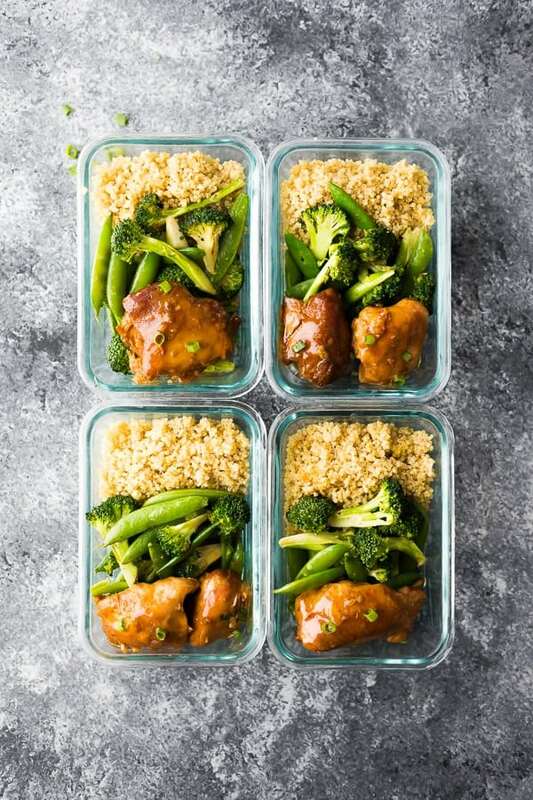 These chicken thighs have a deliciously sticky, sweet and savory sauce that is perfect for spooning over rice and vegetables. This makes a great weeknight dinner or meal prep recipe. 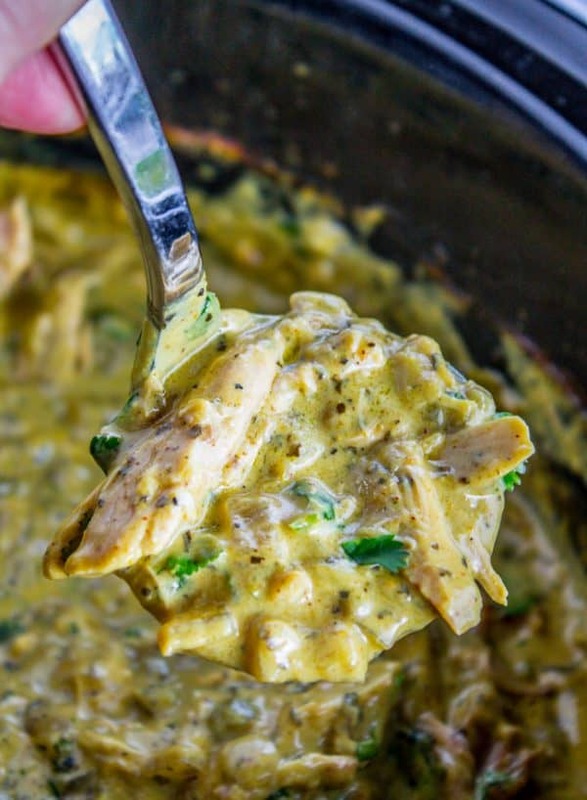 This crock pot take on paleo butter chicken is so easy and delicious it’s become one of the all-time best slow cooker chicken thigh recipes on One Lovely Life! 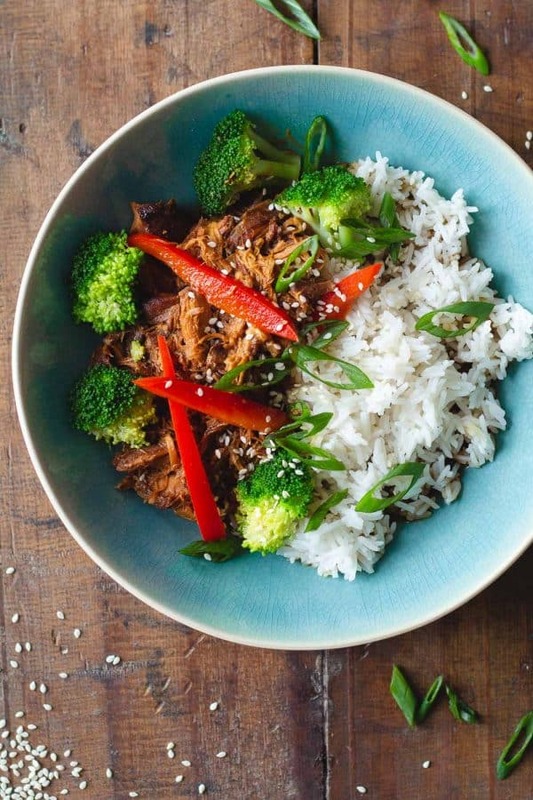 This recipe delivers all of the teriyaki flavors of Asian take-out, made easily in your slow cooker. This dish features juicy chicken thighs and fresh vegetables tossed in a sweet teriyaki sauce. 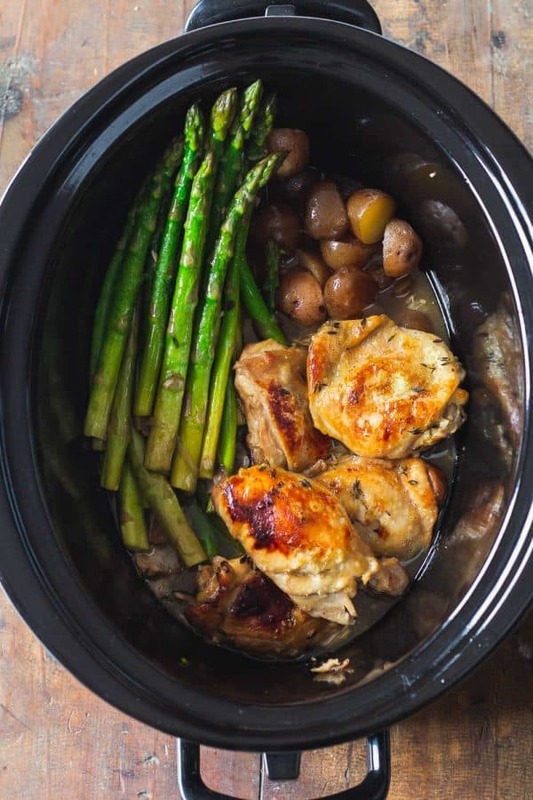 Whether it’s for Sunday dinner or a hearty, healthy weeknight meal, this is one of the slow cooker chicken thigh recipes you’ll make often! 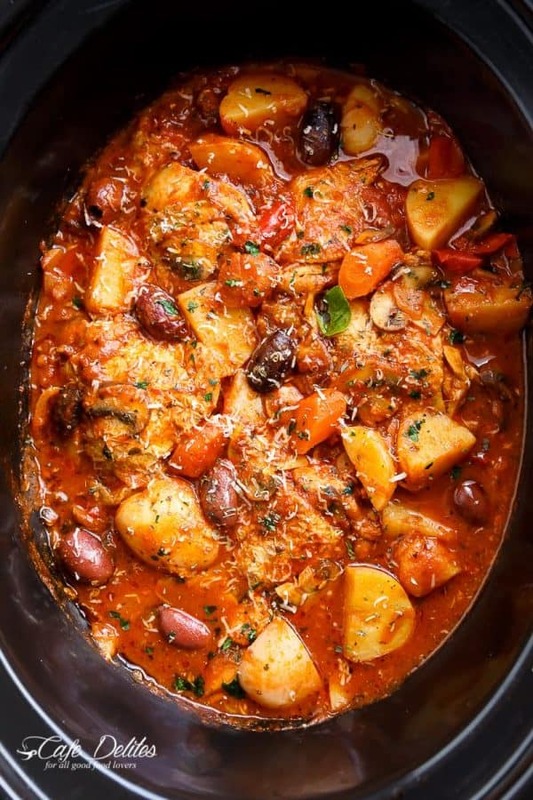 A classic Italian dinner made easily in a crock pot, Chicken Cacciatore With Potatoes features chicken falling off the bone in a hearty Italian stew! 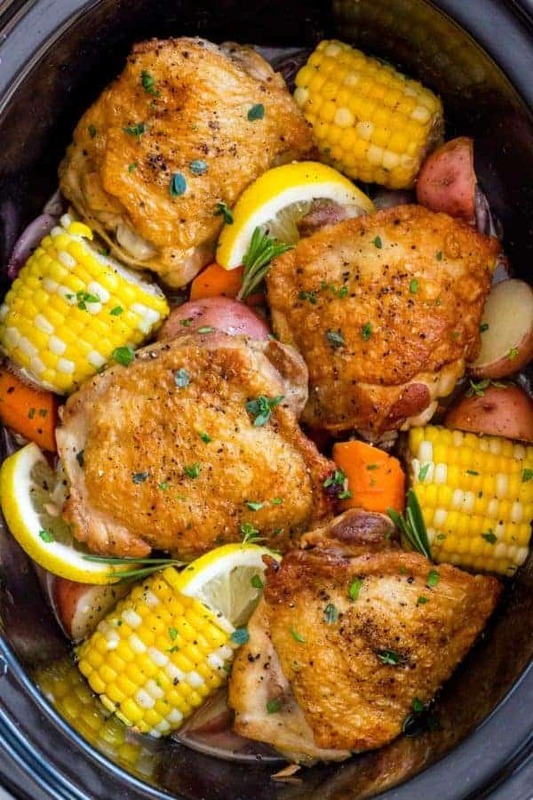 This healthy chicken thigh recipe creates a delicious dinner with a beautiful presentation that will have everyone’s mouth watering before you get it to the table! 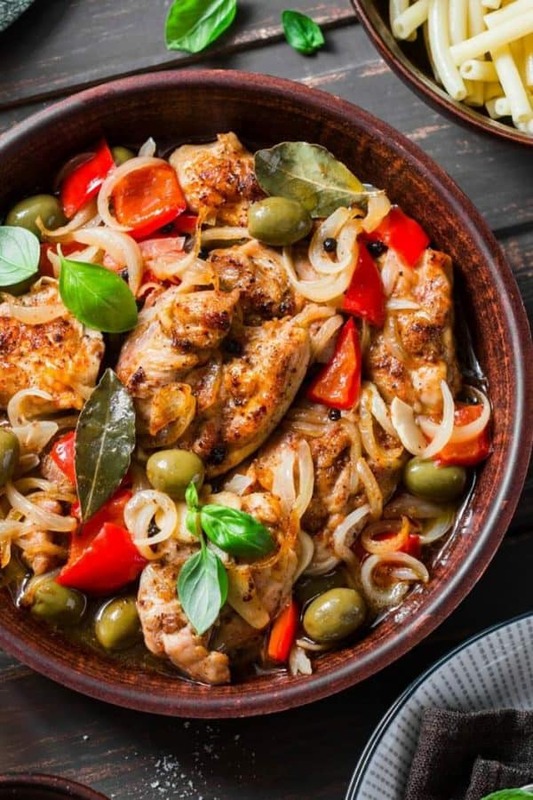 With tender chicken thighs, olives, sweet red peppers, and onion, this slow cooker chicken thigh recipe couldn’t be more delicious, and it’s healthy too! 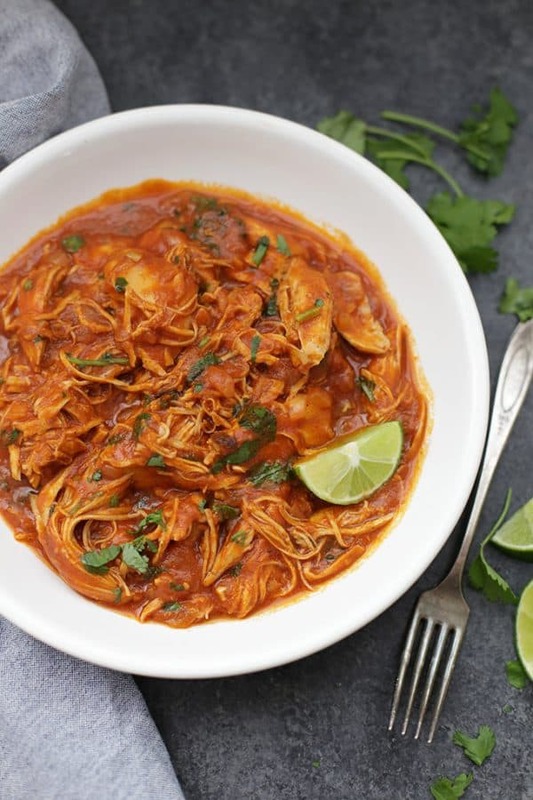 Turn simple chicken thighs into a delicious and healthy Mexican meal in your slow cooker. When you do that, you’ll have a Taco Tuesday winner chicken dinner! 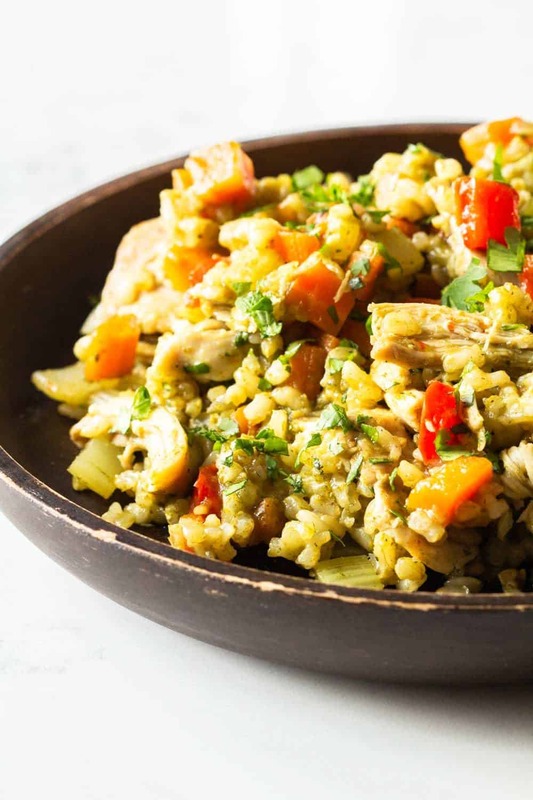 Loaded with salsa verde, lime juice, and sliced bell peppers, this deliciously healthy slow cooker chicken thigh recipe is easy to make and full of amazing flavors! 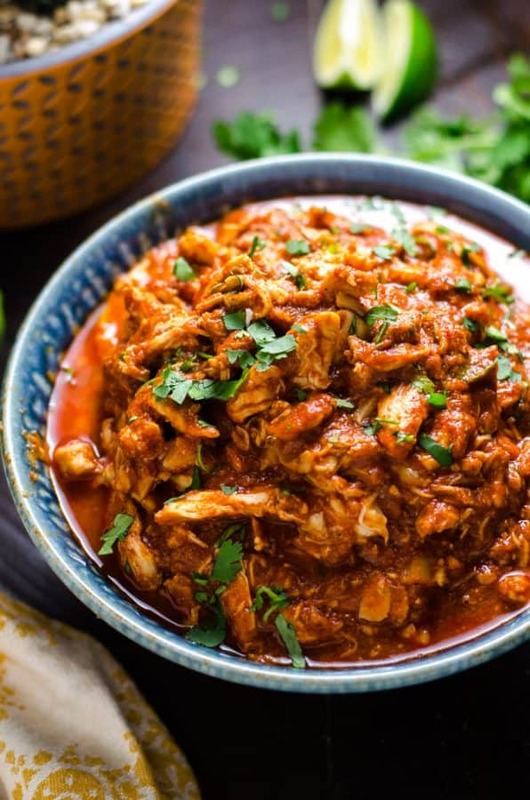 Slow cook your way to one of the best chicken curries you will ever eat! The sauce has coconut milk, jalapeno, and red onion. It’s not too spicy, but it has tons of flavor. 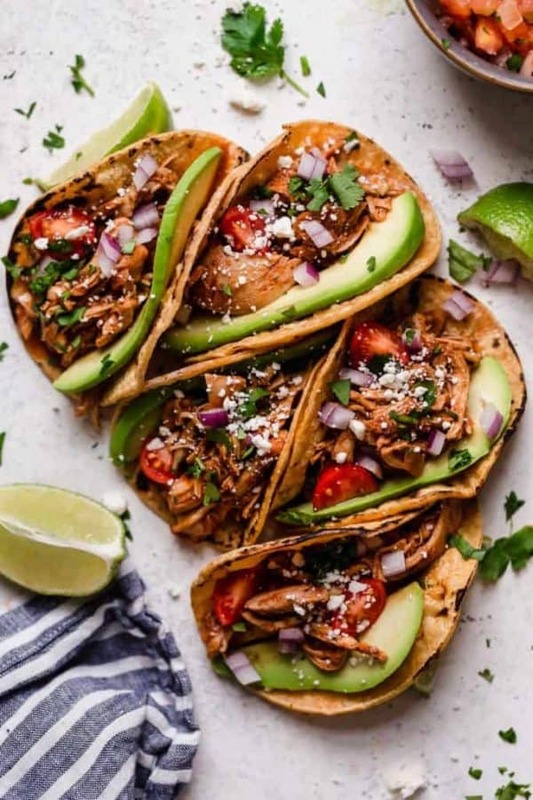 This slow cooker chicken thigh recipe creates chicken taco meat that’s incredibly hearty! Plus, now there’s yet another delicious reason for hosting Taco Tuesday.